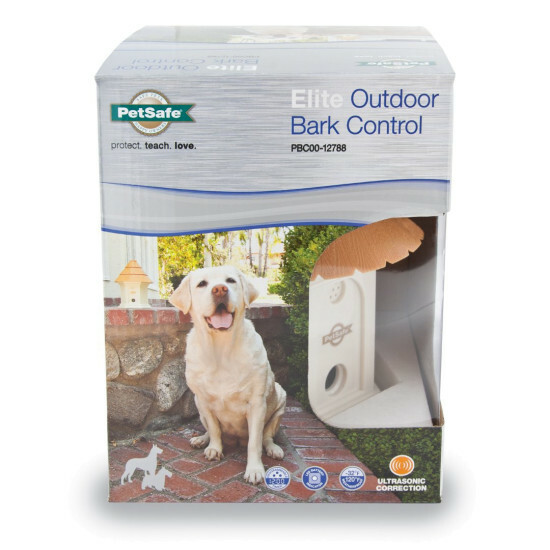 The Elite Outdoor Ultrasonic Bark Control teaches your dog or your neighbor's dog to stop barking, giving you peace and quiet in your own backyard. Whenever a dog barks within range of the device, the dog will hear a high-pitched sound that's inaudible to most humans. The sound stops as soon as the barking stops. Much like a dog whistle, the ultrasonic sound is harmless yet annoying, which reminds the dog to stop barking. Set the digital timer to turn the unit on and off at specific times, just like an alarm clock. 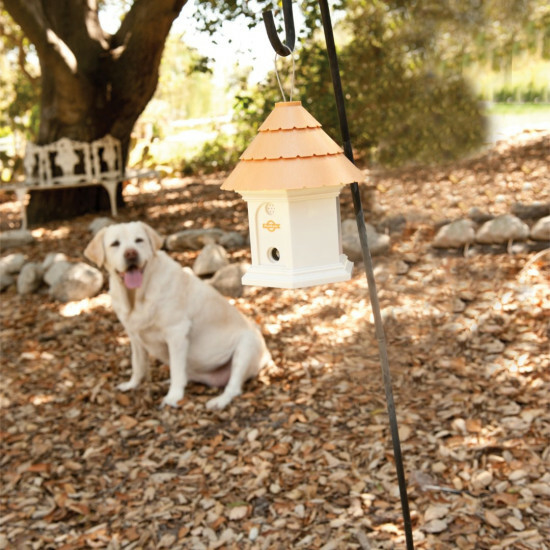 This helps prevent dogs from becoming desensitized to the ultrasonic sound. 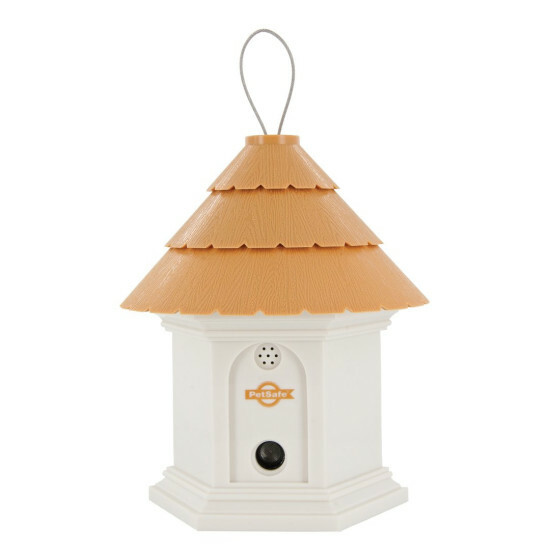 The outdoor bark control unit is disguised as a birdhouse and can hang in a tree, on a fence post, or anywhere outside in your yard. 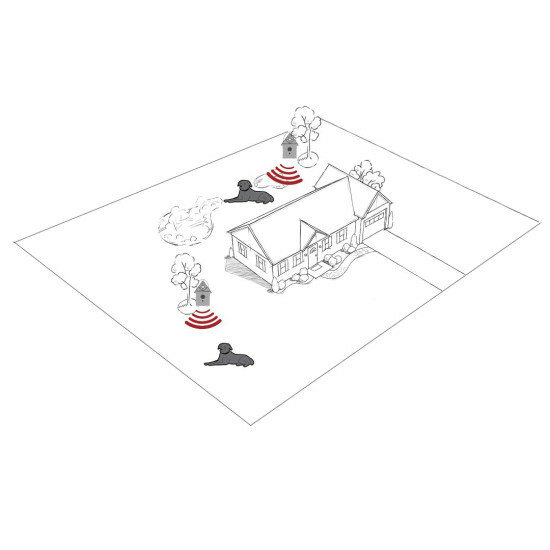 With a range of up to 50 feet, 1 unit could cover a 1/4 acre yard. Add more units to cover a larger property. To improve battery life, use the timers to turn on the unit only when the dog barks or turn the unit off when not in use. While the unit is weatherproof, it shouldn't be submerged in water. If water enters the microphone, the device might not work until the microphone dries.